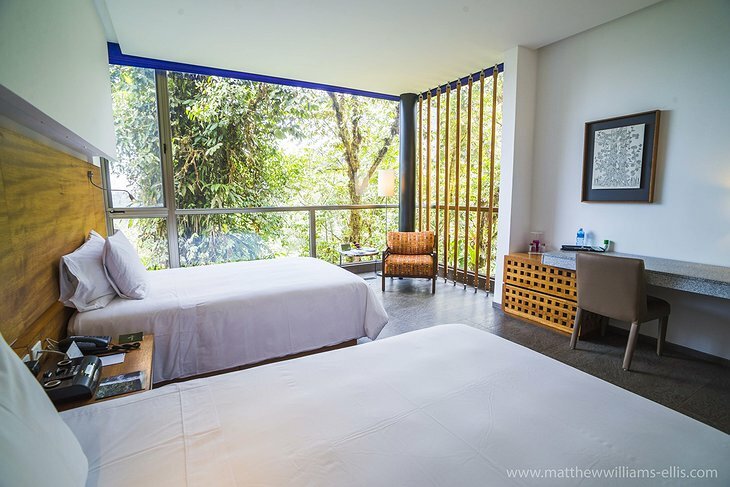 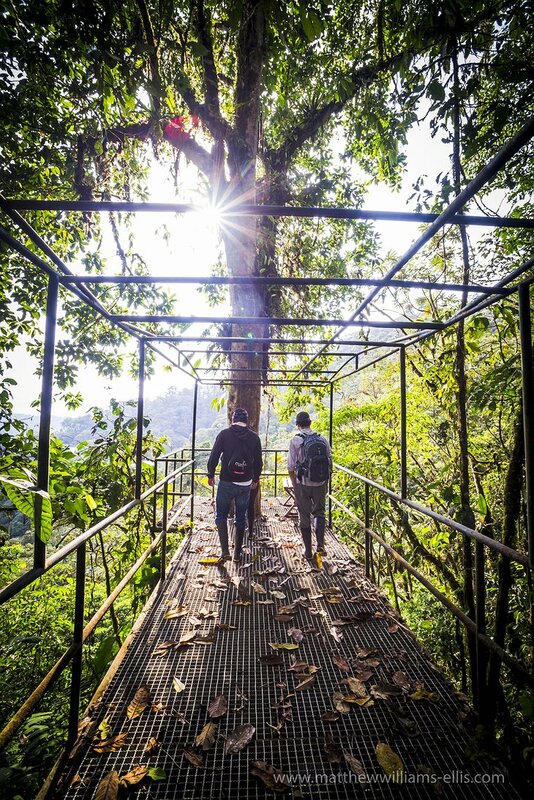 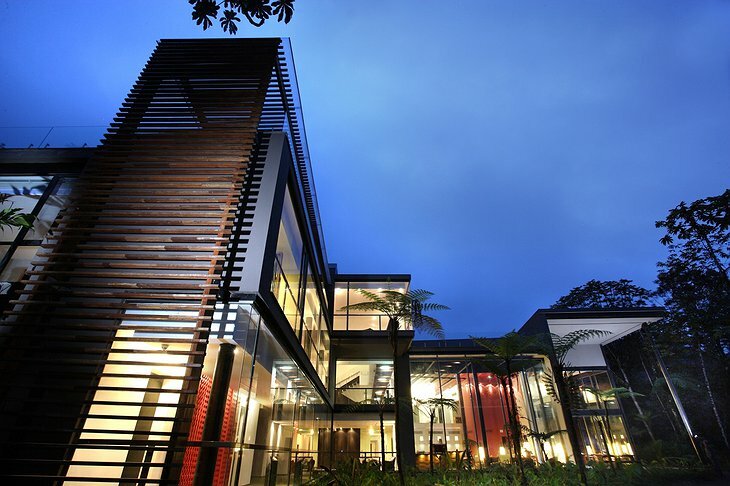 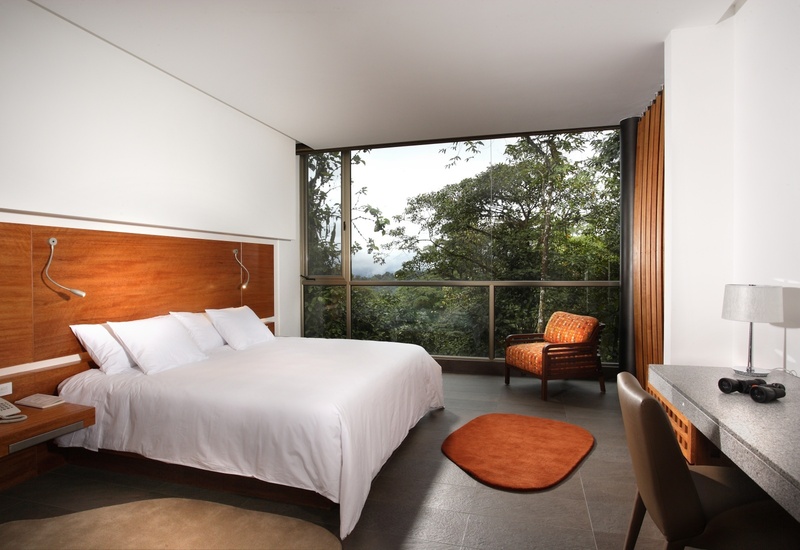 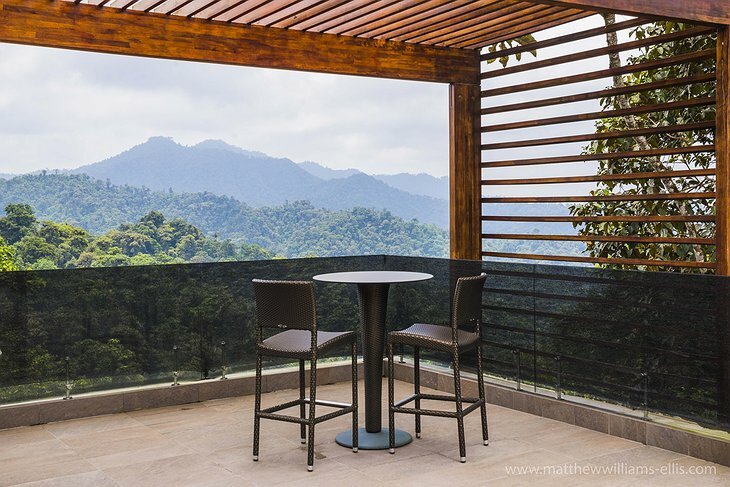 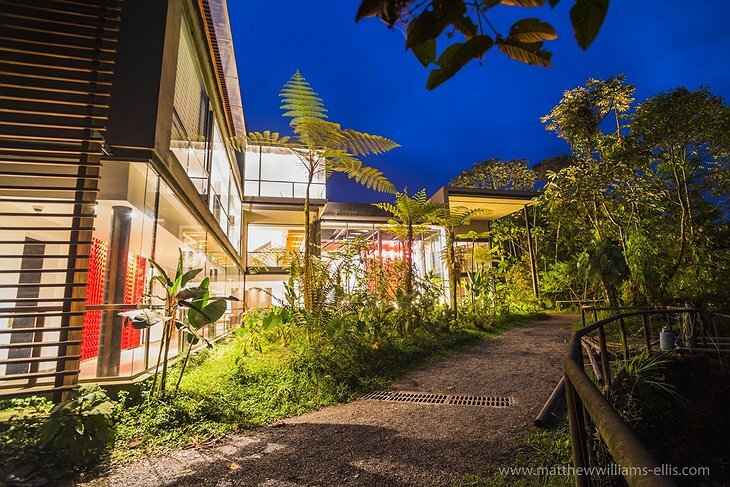 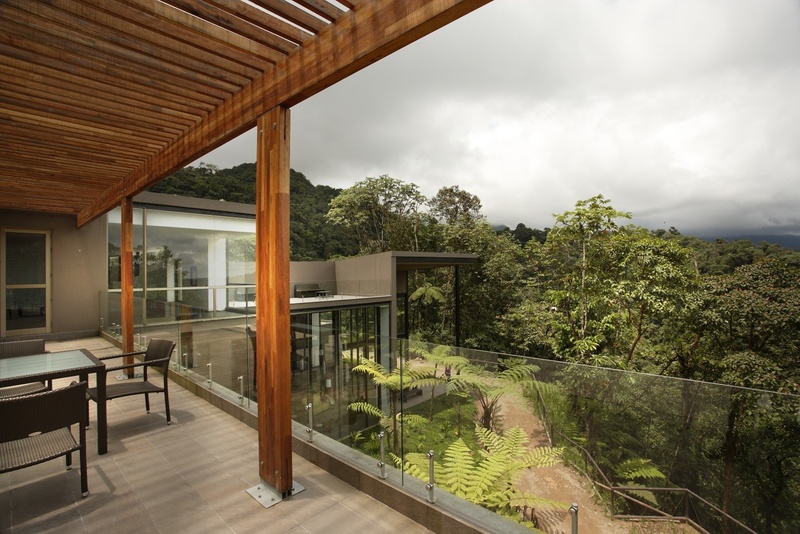 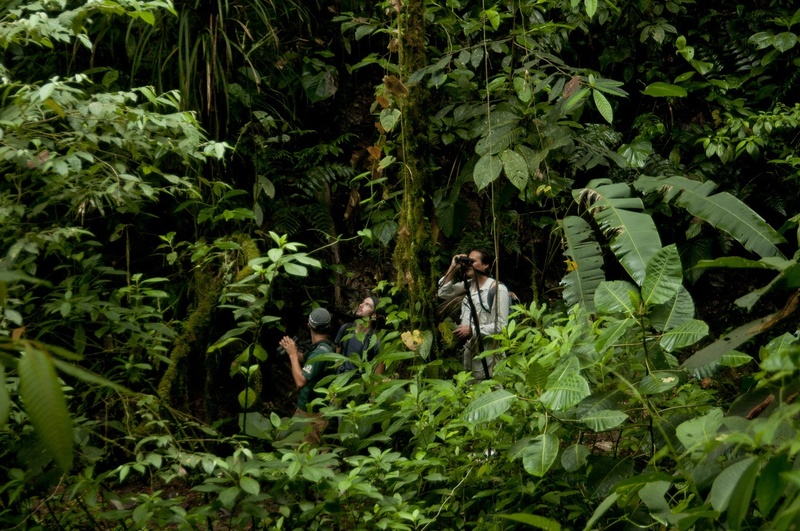 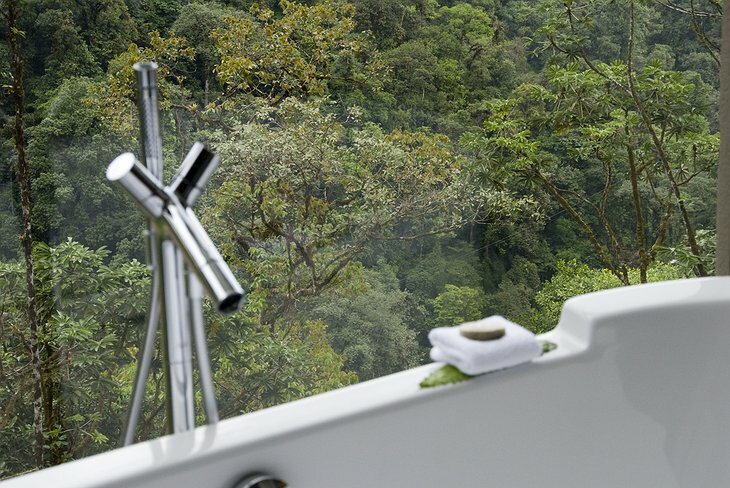 The Mashpi Lodge is an ultra-contemporary, sophisticated eco-lodge that offers you a full immersion experience into the cloud forest of Ecuador’s Mashpi Natural Reserve. 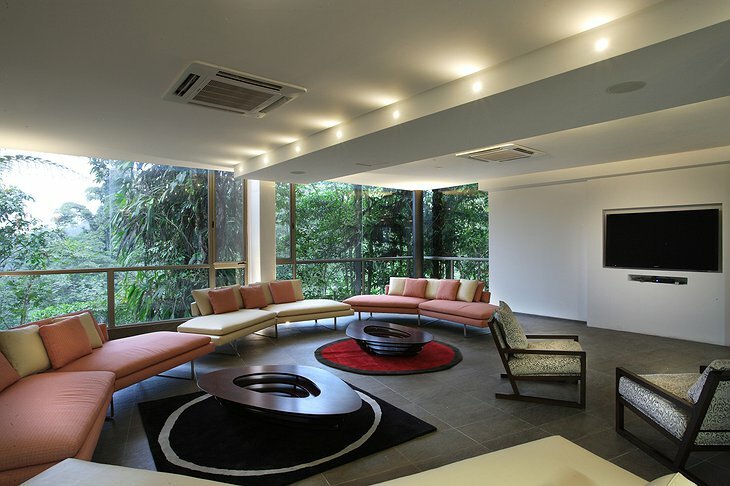 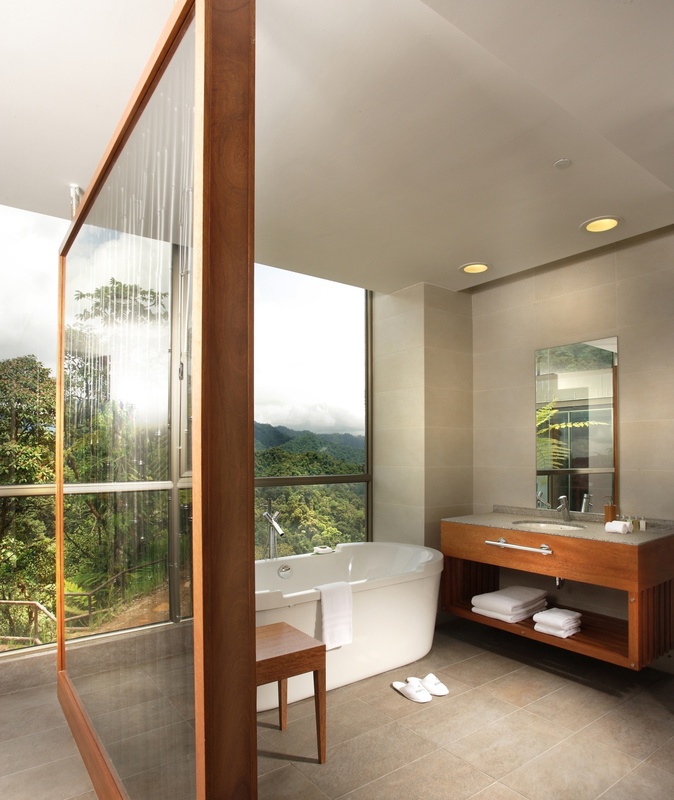 The sleek design and minimalist décor blend into the natural splendor just beyond your door. 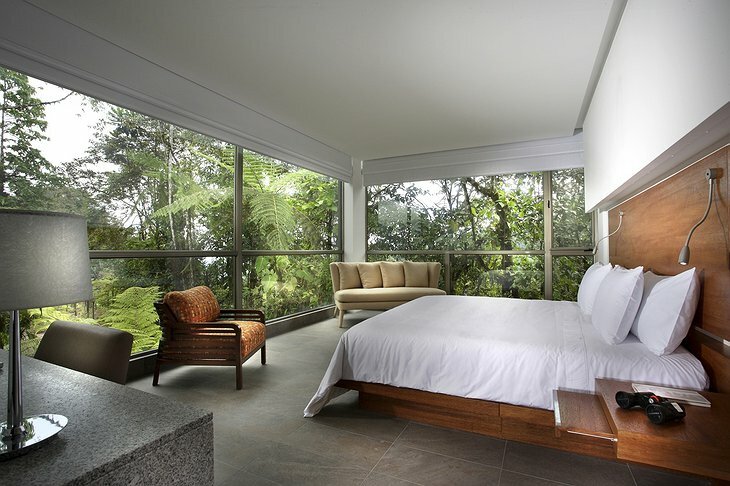 Each room offers a north-facing view with floor-to-ceiling windows creating a feeling of openness. Whether you are in the privacy of your own room, enjoying a meal on the outdoor terrace, or soaking in the Jacuzzi, you are sure to enjoy breathtaking vistas. 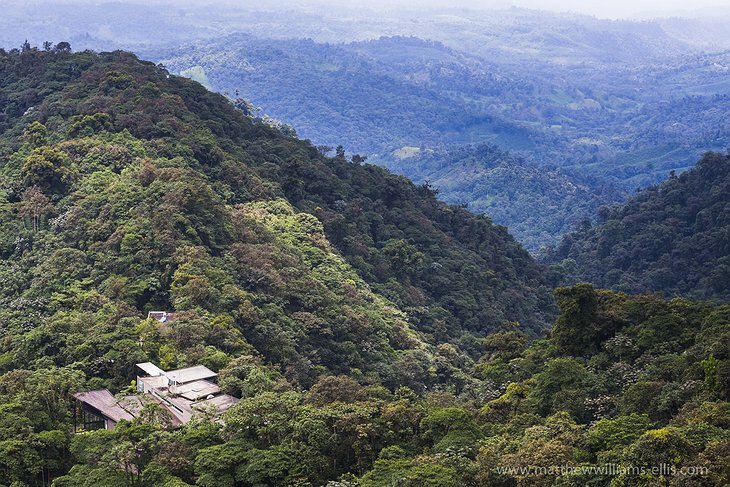 Situated over 3,000 feet above sea level, the lodge is the perfect launching point to explore the natural reserve. 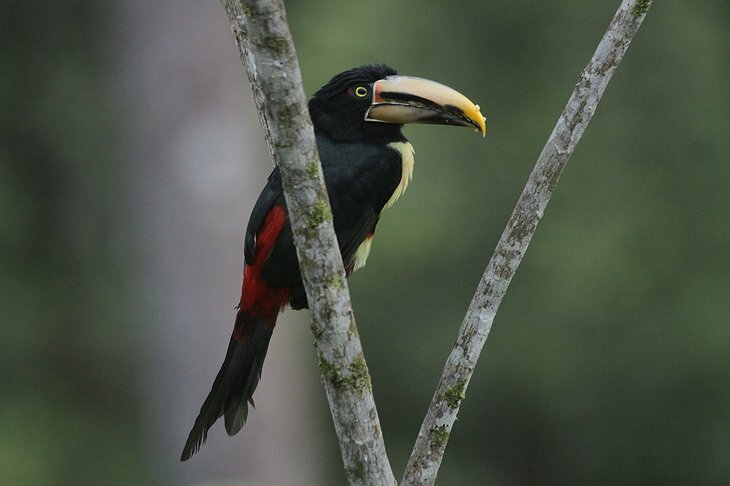 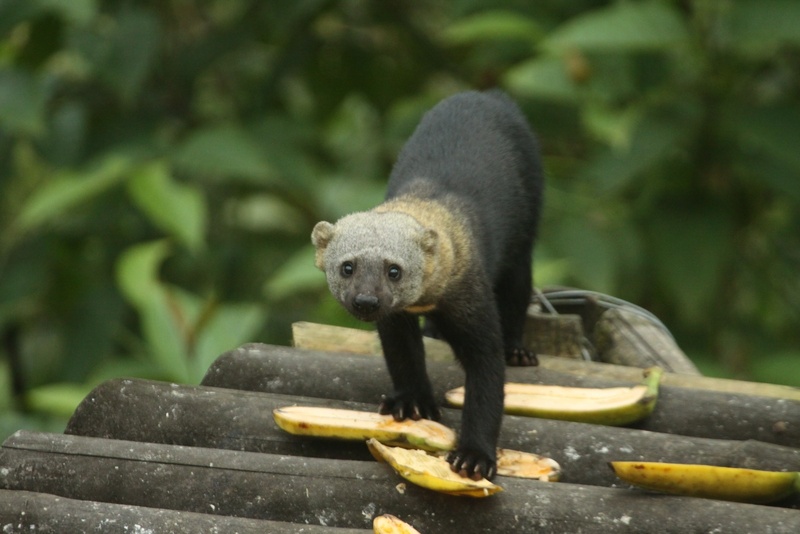 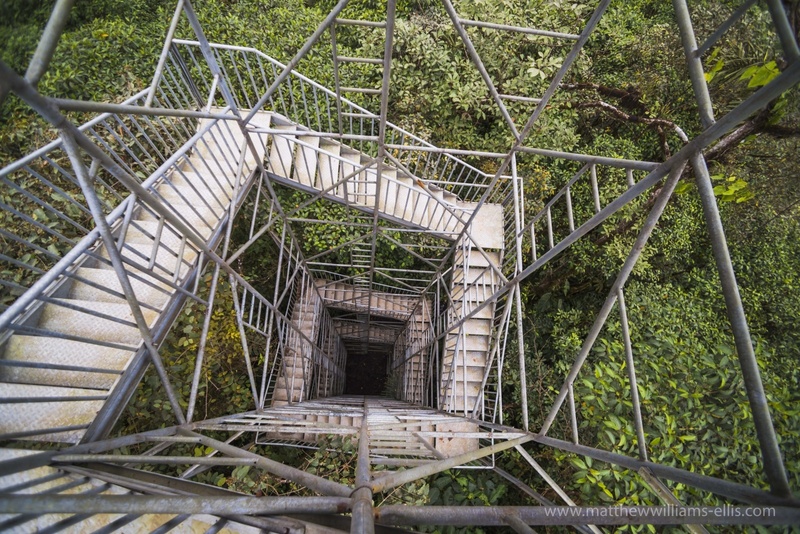 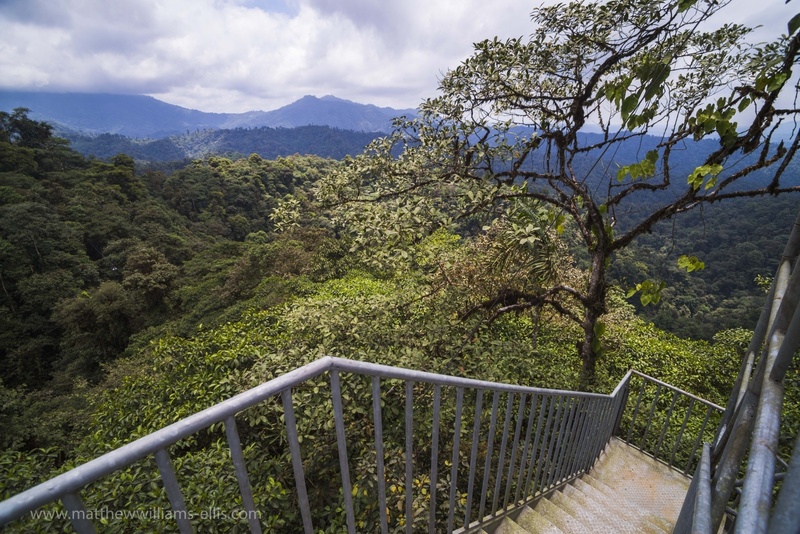 The well-maintained hiking trails, observation tower, night tours, and sky bike offer a unique perspective of the diverse and exotic wildlife found here. 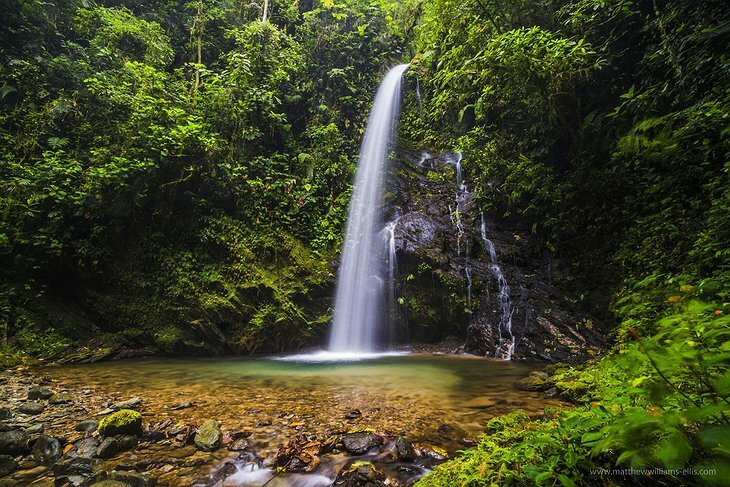 After a long day of exploration, you can also take a refreshing dip at one of several small waterfalls, cascades, or pools nearby. 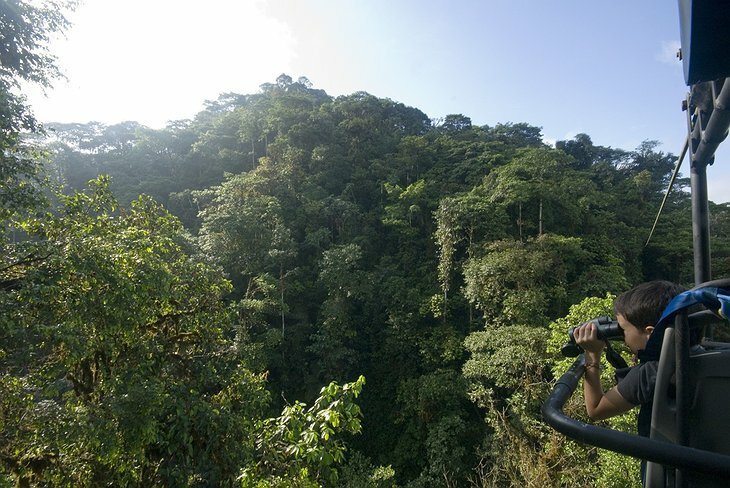 Expert tour guides and the Life Center also provide a hands-on learning experience. 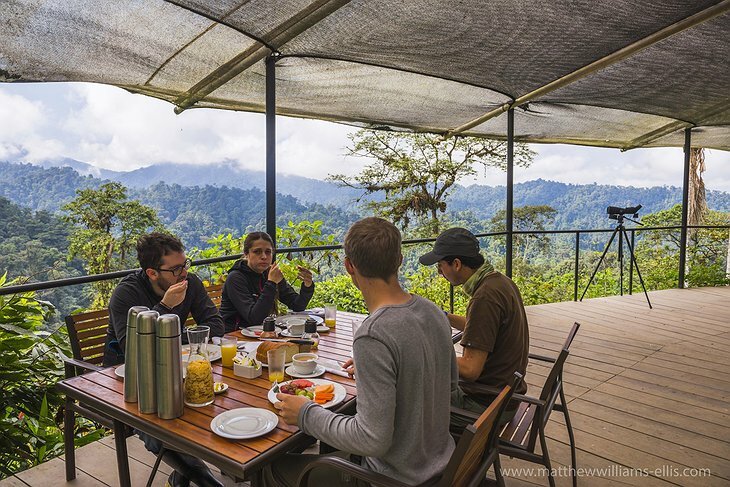 During your stay, you will also enjoy exquisite gourmet meals prepared with local herbs and spices found within the rainforest. 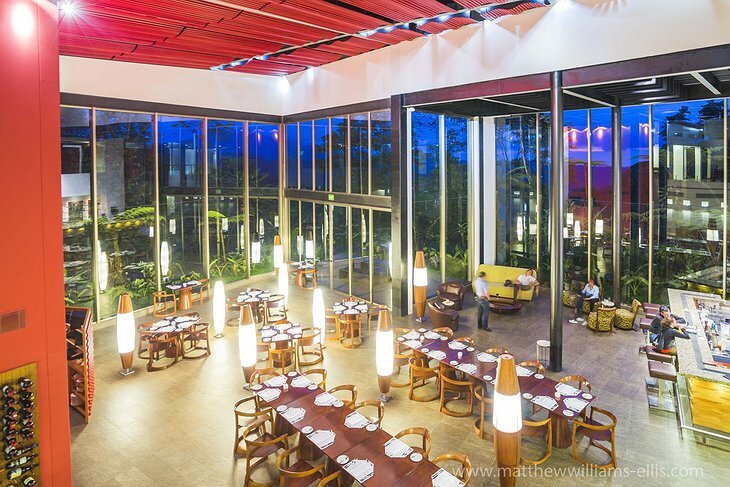 Each meal is infused with fresh local ingredients that vary with the season. 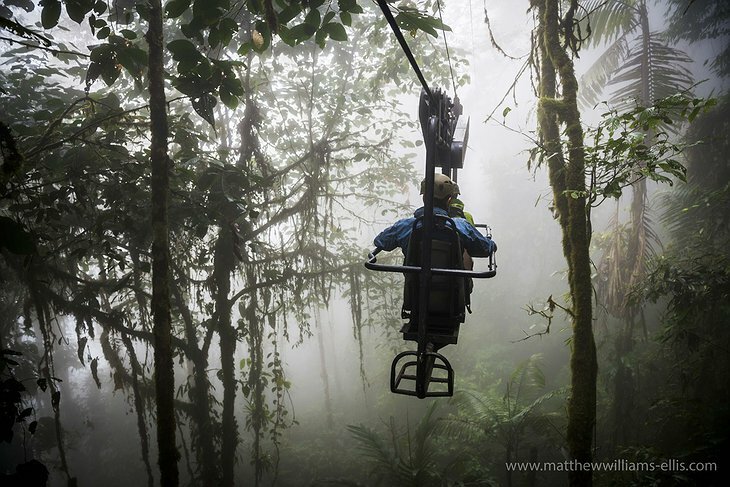 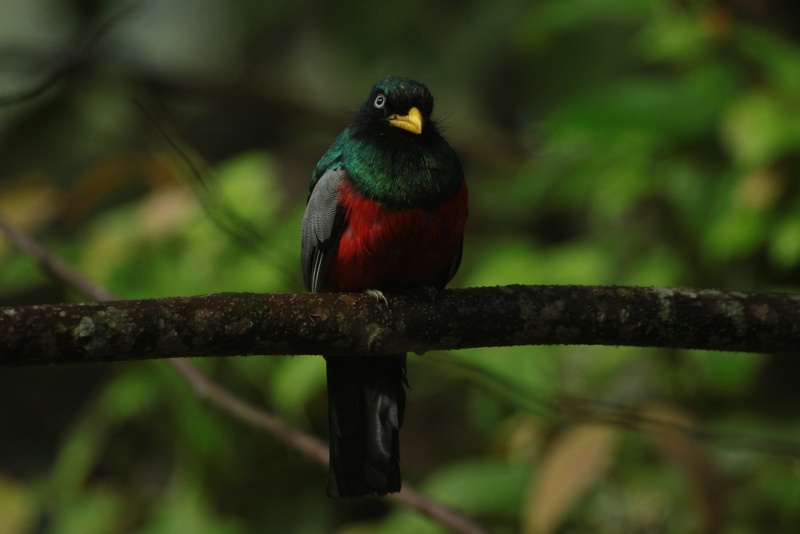 Mashpi Lodge Ecuador (no voice-over) from Mashpi Lodge on Vimeo.